And, I am in love with the mini Natasha Denona palettes, so I had to pick up the Mini Star palette! 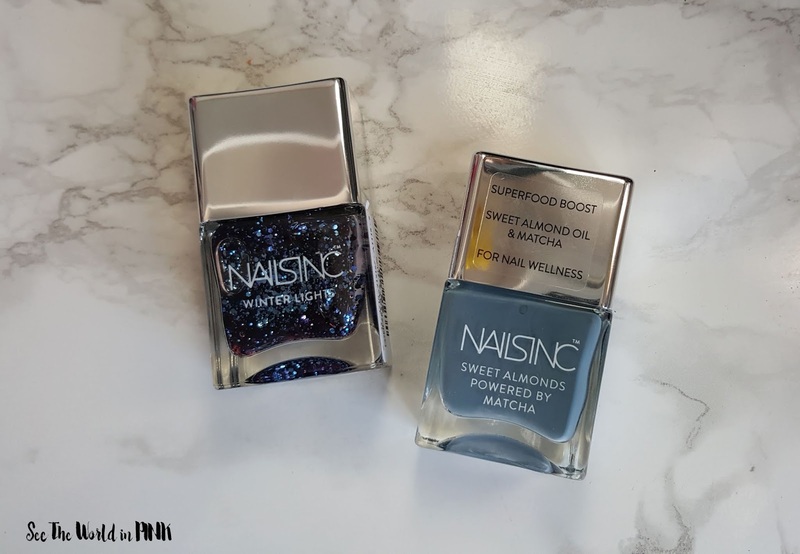 Plus, I picked up the new Sephora Collection Color Hit Mini Nail Polishes (you can see them in action here), and the Sephora Collection The Golden Mask (and you can see my thoughts on this too!). And the two samples are from Buxom and Hourglass. Labiotte Wine Mascara ~ $4.18 CAN. I pretty much need everything from the Labiotte Chateau wine collection! I ordered this in the Summer and it's finally made an appearance - good thing it was only $4 on ebay! Beautometry My Mani Box Subscription ~ $53.28 CAN. I was pretty excited to see this subscription because it includes MoYou London plates, polishes and extras! It is a little pricey and I wish there was a little variation in the plates - you can check out a closer look of this subscription here! Lust: Mini MatteTrance Lipstick set in Skin Show! Pat McGrath has amazing packaging and these lipsticks look amazing! I will try them right away! I also picked up this Fresh set for 500 points (because I love Fresh!) My 2 samples were an Amore Pacific peel and a perfume. Maskeraide Masks ~ $11.00 CAN. I have been interested in trying MaskerAide masks, so I picked up a couple in a beauty swap group. I've heard such good things about this brand and these masks are too cute! I can't wait to try them! Sephora VIB Rouge Shopping Haul #3 ~ $56.80 CAN. I really wanted to try the Morphe Continuous Mist setting spray - what a great idea! And, I needed to restock up on my Shiseido Facial Cotton and my go-to Urban Decay Naked Skin Weightless Complete Coverage Concealer! My two samples are from Tarte and Clinique. Shoppers Haul ~ $26.08 (regular price $76.08). 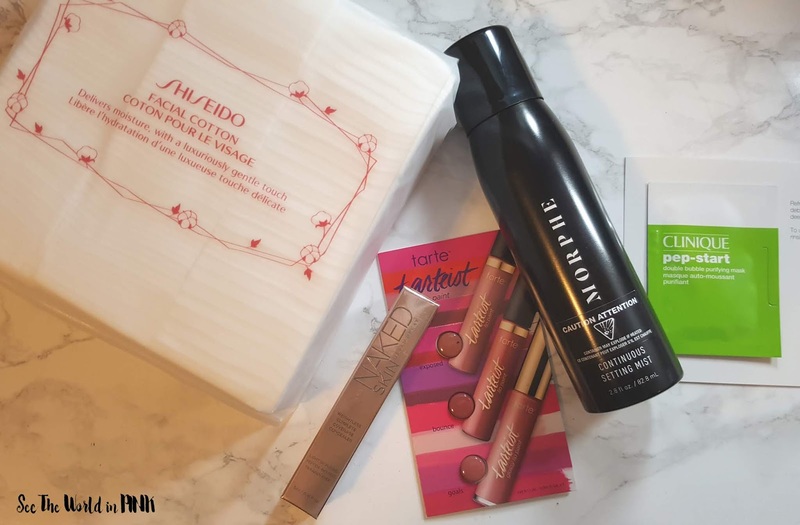 Is there anything better than spending $50 in Shoppers Optimum points for beauty products?! 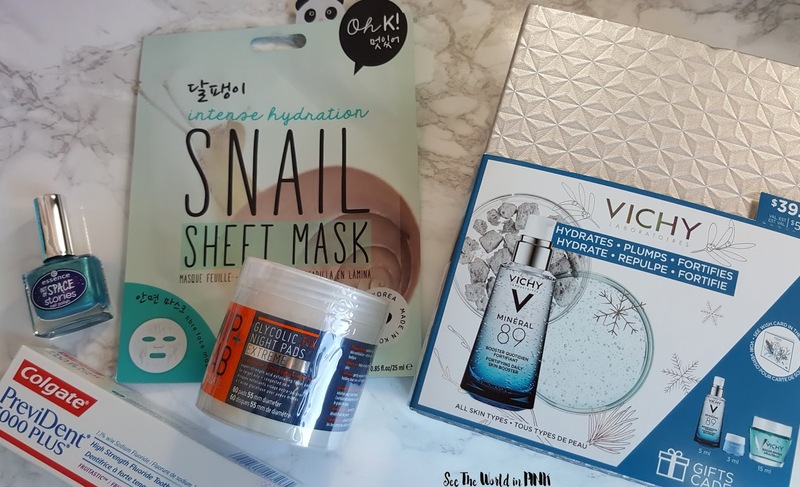 I went for the Nip + Fab glycolic fix night pads and the Vichy Booster (which this set was the same price and just came with some samples!). But, I also picked up an Essence polish (you can see this line swatched here) and I wanted to try this mask brand! Plus, my husband wanted this very specific toothpaste. 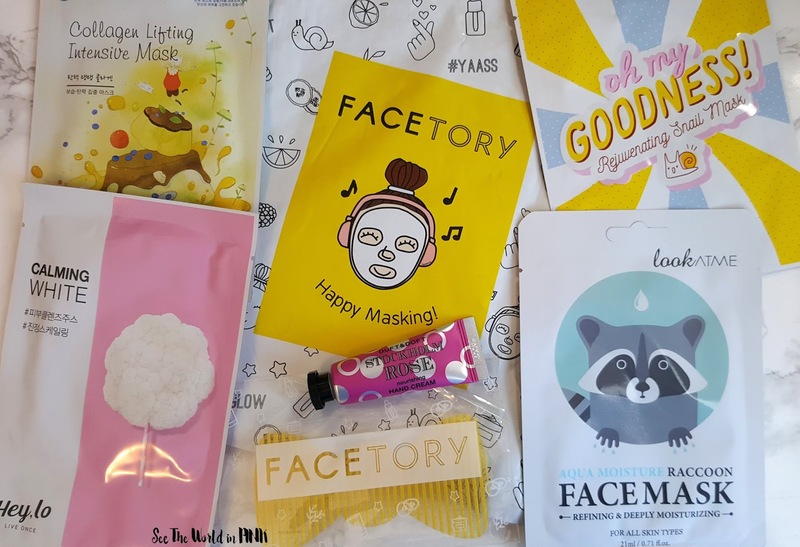 Facetory November Subscription ~ $21.58 CAN. 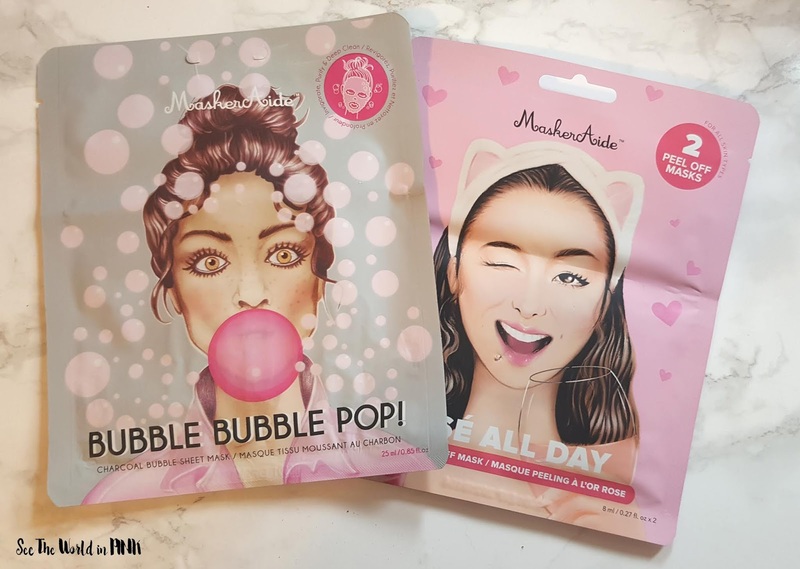 This is a cute little mask subscription - I like that I keep getting new brands and fun masks to try! I think the price with shipping, is a little much for 4 masks - but it's been fun to try. I think I may pause this for a while and focus on my mask collection; but, may try it again soon! Winners Finds ~ $14.68 CAN. How cute are these 2 Nails Inc polishes?! I found these for $6.99 each and thought they will be so perfect for wintery nails! I'm loving this muted blue and can't wait to do a mani with these soon! 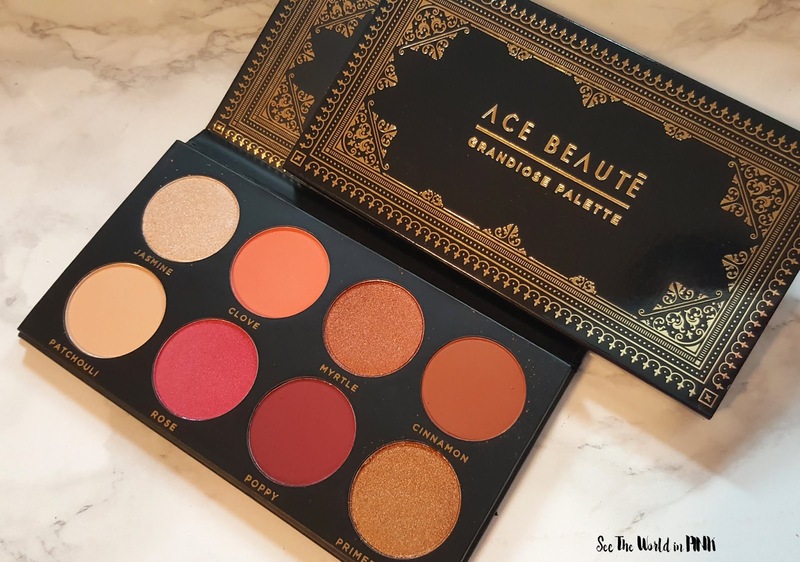 Ace Beaute Palette ~ $10.00 CAN. I unsubscribed from Boxycharm, but I still stay in their swap groups in case i'm interested in something they send in their box. And, this Ace Beaute Grandiose palette caught my eye - this is super pretty (but yes, similar to some palettes I already own). But, I've recently heard about the brand and wanted to try this palette at a really great price! So, let's just pretend I didn't even mention that I try to stick to a budget - this month I spent $308.48! But, I got so much good stuff to try this month! Glad you enjoy our My Mani Box subscription!